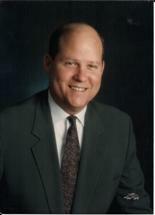 My name is Gregory S. Taylor, Attorney at Law, and I have been practicing law since 1974. In 1991, I founded a private practice law firm in Ada, Oklahoma. My primary areas of practice are estate planning, probate & estate Administration, real estate law, and energy law. Estate planning is a legal process that addresses a number of legal questions that come up when a person dies. An estate plan will identify your assets, beneficiaries and guardians for the care of your minor children. It also addresses issues related to retirement, and answers legal questions that will come up should you become disabled or incapable of making decisions about your health care. If you have real estate investments, a privately held business, a charity you would like to support, or concerns about the details and expenses family members may face upon your death, then an estate plan is imperative. Depending on your goals and the details of your estate, a trust, will or a combination of both may be the best option. As your lawyer, I will help you identify your objectives, make recommendations, and draft the legal documents necessary to meet those objectives. Work with a firm that has been successfully providing legal advice about a wide variety of estate-planning options to clients throughout the Ada, Oklahoma, region for more than two decades. Probate and estate administration are the legal processes that occur after death. Arranging for the administration of your estate can be addressed during the estate planning process. If the estate of a recently deceased loved one has entered probate, I can walk you through the process, or manage all aspects of probate from beginning to end. I also have more than 20 years of experience in all aspects of real estate law and energy law. Contact me for a free initial consultation at my office in Ada, Oklahoma.